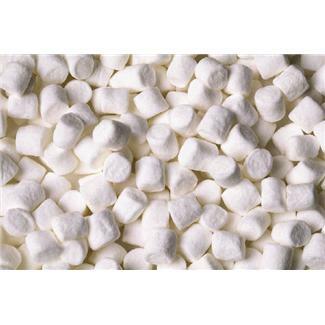 Does anyone else miss the sticky gooyness of marshmallows in the summertime? I grew up both camping with my family and as a girl scout where treats made with marshmallows usually cooked over a campfire were a big treat. Normally I don’t like overly sweet foods but there’s something about both s’mores and banana boats that I just love. I’ve done a little research and found out some interesting info. First in the easy to access category Smucker’s Marshmallow Ice Cream Topping is vegan! I always love when I find a simple grocery store item that’s veg because I often don’t have time to schlep to the natural food store and Whole Foods is a good 30-45 minute drive. Finally, here are a couple of simple fun things to do just using some of the Smucker’s ice cream topping which I believe will be enough to end my craving. If it doesn’t do the trick I may splurge and order from Sweet and Sara, their products do look delicious! Place a banana on top of some foil wrap and slice banana down the middle, fill the middle with some veg chocolate (baking chips will work well) and drizzle with marshmallow topping. Wrap up place on grill for a couple of minutes on each side and serve. I believe this one is gluten-free. This summer I have been on a huge avocado kick. I’m giving into my craving because they are so incredibly healthy. Some of the benefits of eating avocado include a high fiber content, they’re a great source of vitamin E, folate, and potassium. They are considered beneficial for lowering cholesterol, overall heart health, eye health and are considered good for preventing certain cancers. While in Prague my son texted me asking for a recipe for guacamole. While dining out his friend tasted it for the first time and fell in love. She wanted to know how to make it. This made me laugh because I don’t really consider this a recipe but a group of ingredients I mix together with add ons or measurements being dependent upon my mood. This is the basic ingredients I use and the amount here is for a gathering. Yesterday for lunch I made a small bowl with 1 avocado and enjoyed it with some organic chips. Also, I apologize for the lack of picture, I just didn’t think of it. Please add delete or change this recipe to your personal taste. The 2 key ingredients is the obvious avocado and next the fresh lime juice. I mix the lime juice in immediately because it keeps the avocado from browning. People question eating day old guacamole because it tends to brown quickly. I’ve done it a couple of times after removing the top layer. So far so good, I haven’t gotten sick from it yet! This week I seem to be on a kick of non traditional breakfast foods. This is nothing new, however on most days I resolve this issue by drinking a smoothie to start my day. Yesterday I cooked some plain white rice for little Rocki, who by the way is doing much better. Today I had a bowl of leftover rice since I seem incapable of making less than 2 cups of rice at a time. This morning I made myself a gluten-free vegan fruity fried rice and it was quite good. 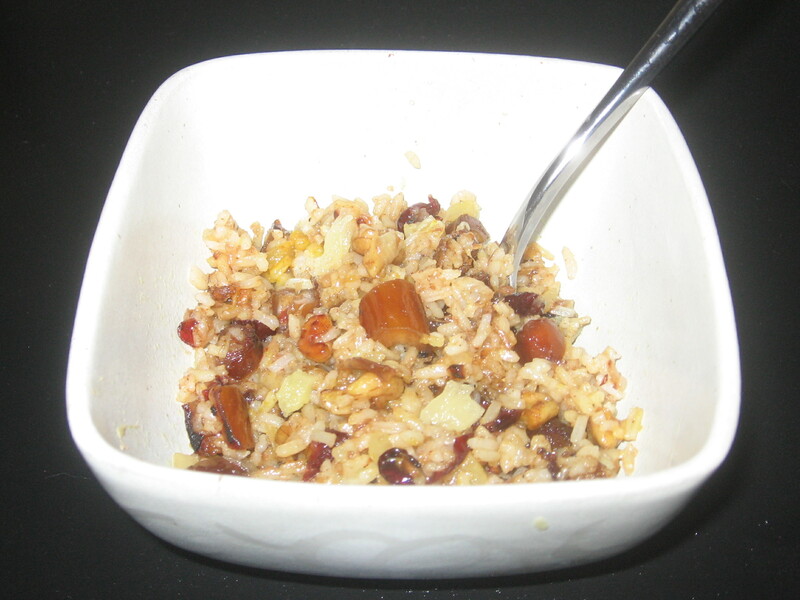 I combined the sweetness of dried fruit, pineapple, nuts, with the savory tastes of shallots and spices. 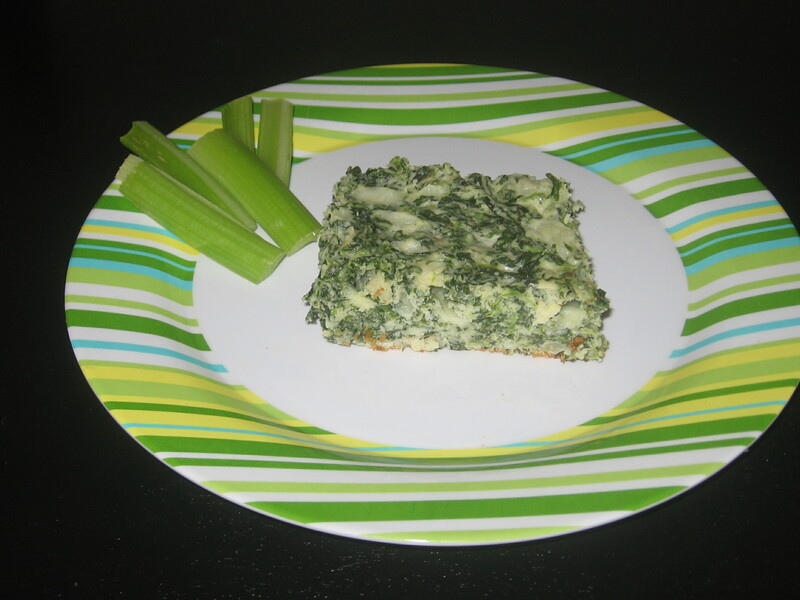 The result is a versatile dish that I can eat for breakfast or use as a side dish paired with grilled veggies or tofu. My recipe is a bit haphazard. Everything is an approximation because I used my typical chop, or shake it and throw it into the pan method of cooking. Measuring is not a skill I possess. Mentioning Walden Creek Butter’s I do have to introduce Walden who I purchased with the butters. 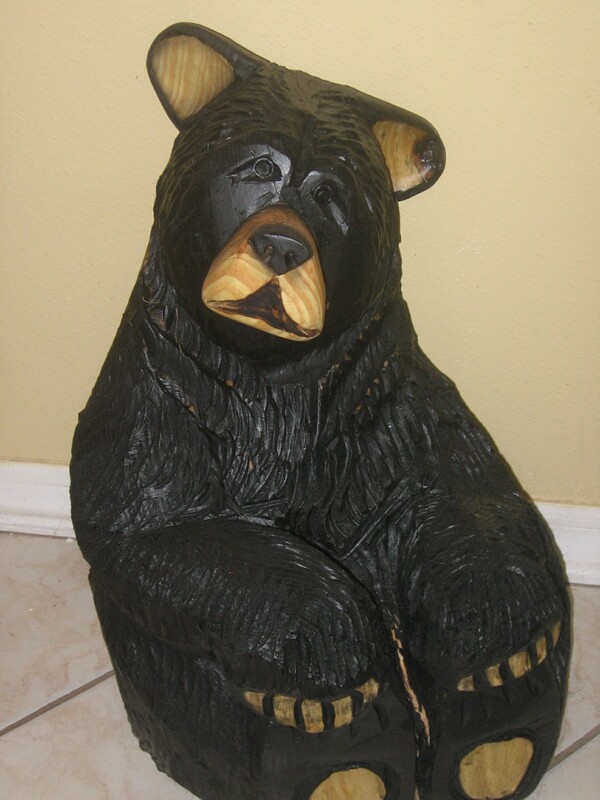 I bought him in a town called Wears Valley Tn. The sculptor had just finished creating him while we were browsing his artwork. Walden hadn’t even been stained at that time. They promised me that he would be completed the next day so we took a trip back and made his purchase our big indulgence of that trip. He road home on towels to not stain my car and safely seatbelted in. One of these days I will get a nice picture of him outside but I need to borrow or purchase a better camera first. He is not named for food, his name comes from Walden Creek which we drove over 3 times while trying to name him. Drain, dry and cut tofu into 1 inch chunks. I freeze tofu overnight to get a more meaty consistency, but it’s optional. Wisk the eggs or egg substitute. Dip tofu in egg to coat completely. Do the same with chicken if needed. Sprinkle enough cornstarch over tofu/meat coating completely. Heat oil in pan and fry tofu pieces until lightly browned. Do the same with the chicken in a separate pan. I turn the chicken off but leave it in the pan. Remove the tofu from its pan and place on paper towels to absorb a little of the excess oil. 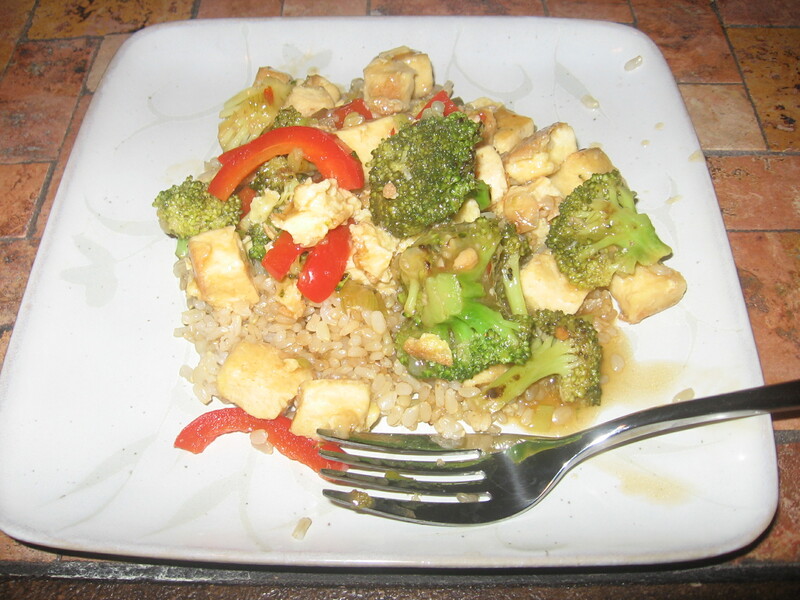 Using the tofu pan 3 Tablespoons vegetable oil in pan on medium high heat. Sauté the broccoli for several minutes add ¼ cup water to make a little steam. Cook until your desired tenderness, and then remove from heat. Add more oil to pan if needed then add in green onions, red pepper, ginger and garlic, cook for about 2 to 3 minutes being careful not to burn garlic. Add vegetable stock, soy sauce, red pepper flakes, hot sauce, and vinegar. Mix 3 Tablespoons water with 2 Tablespoon cornstarch (make sure there’s no lumps) and pour into mixture stirring well. Make sure this comes to a light boil so that it thickens properly! If using chicken add ½ of the vegetable and sauce to the chicken pan and then add fried tofu and stir well so that it’s well blended. Serve over rice. 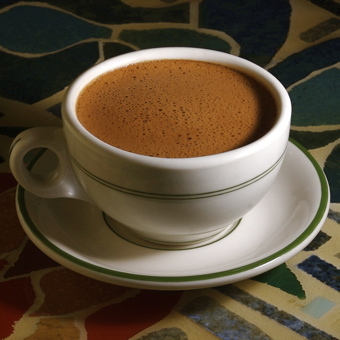 There are so many great recipes out there for Hot Cocoa. Or if you prefer Hot Chocolate. Whatever you call it, there seems to be no reason to purchase the boxed variety. If you’re a vegetarian please remember to exclude the marshmallows unless purchasing a veg vesion. Here are some links to a variety of different styles of recipes from around the world. Please try some and let me know what you think.